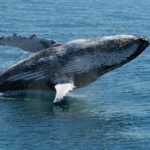 Experience the most magical animals on earth as you get up close and personal with the Humpbacks, Orcas, Whale Sharks and Southern Right Whales along Australia’s stunning coast line. Whale watching is something that everyone should experience and is one of those trips that the whole family will enjoy. You won’t believe how incredible these creatures are, or just how special it is to watch them breach. 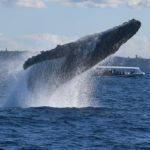 Whale watching tours are the perfect gift experience for anyone who loves water activities, and Australia is fortunate enough to be home to some excellent whale watching spots. 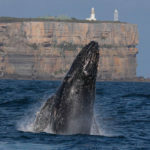 Sydney and the South Coast of NSW are well known for whale watching opportunities, as is Queensland and Fraser Coast. Our whale watching gift experiences and packages are available in both these areas and are guaranteed to delight you. The sight of the majestic whales (and possibly some Orcas and Whale Sharks) will leave you utterly speechless. 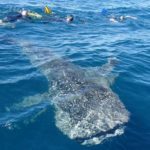 If you love majestic creatures of the deep and are looking for an extreme up-close experience, we also offer swims with whale sharks for those looking for a little extra adventure. This experience is available off the beautiful Ningaloo coast in Western Australia and, of all that water activities we offer, it’s right up these with the very best. 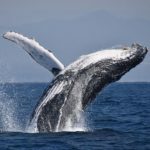 Whether you’re whale watching from the luxury of a cruise or swimming with them below the waves, an experience with these incredible creatures will leave you awestruck and stay with you forever.